Continuing last week’s theme of mathematical coffee tables, here is one designed by Michael Serra, inspired by the work of Piet Hein. 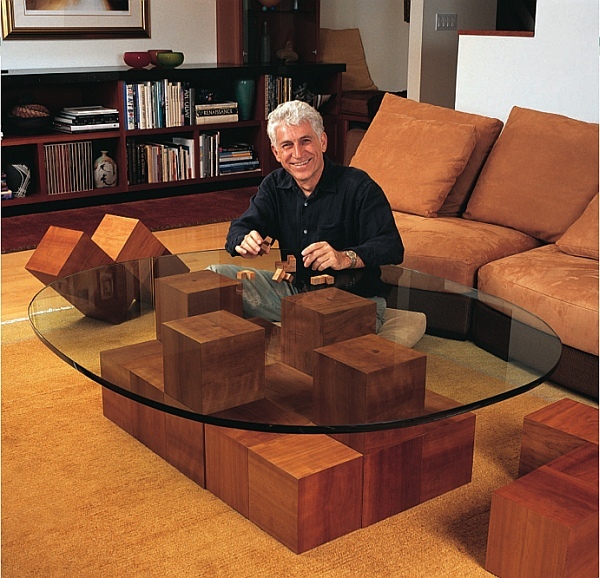 The base consists of six pieces from a set of Hein’s SOMA puzzle, so the remaining two pieces are available as end tables. The glass top is a superellipse, a shape which Hein used for many design purposes, because it interpolates between a circle and a square. This article first appeared on Make: Online, April 11, 2011.